#1 Matt Cutts @mattcutts Minor weather report: small upcoming Google algo change will reduce low-quality “exact-match” domains in search results. #2 Matt Cutts @mattcutts New exact-match domain (EMD) algo affects 0.6% of English-US queries to a noticeable degree. Unrelated to Panda/Penguin. The main aim of this algo update is to fight with the sites providing low-quality content and wanting to get high SERP positions thanks to the keywords in domain names. As you might have noticed after the latest updates, sometimes the search results were dominated by such site, which are just satellites or link farm in their essence. Only in March 2012 Matt Cutts warned the site owners about the incoming changes, and there was silence. Until now. As Matt said, the update is supposed to affect only about 0,6% of English queries, but the number of affected sites isn’t clear yet. Some very interesting statistics found by SEOMoz team can be found here . But it is just initial data. Besides, Google hasn’t made any specifications about the types of queries that will be changed. Will it affect only commercial ones, or all of them? If the latter cases are true, some quality informational sites might be punished for nothing, especially taking into account that earlier Google used to encourage having keywords in domain name and took it as one of the main ranking factor. The update has just begun its way and work. The SERPs will be shacked and changed for a while. And until it stops shaking the rankings it is really hard to give any advice. Moreover, what can be done in this situation when Google just sets its own game’s rules? For those who have such domain the only way out is to try to deliver as much as possible quality content so that to make Google forget about your domain name and to top you basing on your site’s quality. For those who just want to register a domain name, my advice will be to concentrate on branding, but not on the keywords describing what you do. 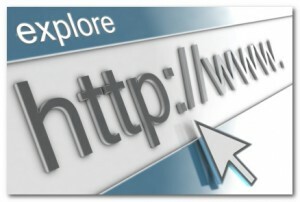 Choose a motto or a company’s name as your domain name and do your best to attract visitors to your site. Good luck!